Probably one of the VERY BEST gay saunas in Asia is called Babylon. I remember going there the first time many years ago when Babylon was in a building (which is now a restaurant) at the start of the Soi nantra; It was then very intimate and cozy. Now Babylon is like an institution! It's decor is still very classy and It became big, very international ( if you fancy meeting 100 guys from 50 countries worldwide) then this is the place for you. Decor is elegant, clean, cruisy, FOAM PARTIES, drag shows, cruisy rooms/ hallways, nice and naughty wading pool, outdoor swimming pool (I swam in my birthday suit) an elegant restaurant, spa,and bed and breakfast. 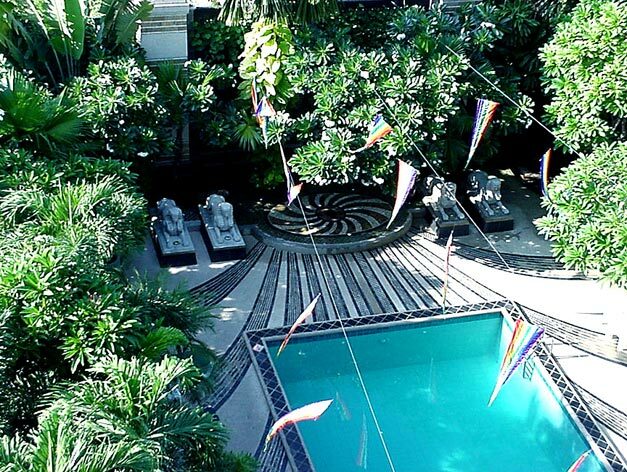 It is a WONDERFUL GAY OASIS! I was once invited by the owner of this sauna club for a private dinner- what a wonderful invitation it was! He had an elegant dinner served by hunky servers, followed by cognac and chocolates! those were the days!